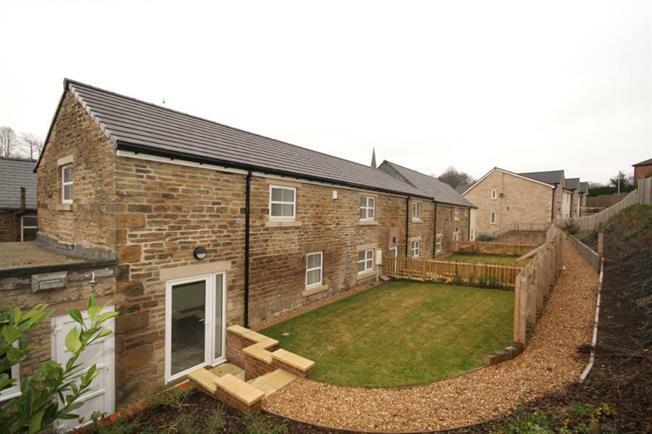 2 Bedroom House For Sale in Dronfield for Guide Price £225,000. LAST PLOT REMAINING! If you're looking for a mix of old and new then this could be the property for you! This top quality home has two double bedrooms both with ensuite shower rooms and downstairs cloackroom with toilet. It is part of a select development of just three fully refurbished two bedroom cottages in Dronfield, Plot 3 has a rear garden and is available with a garage if required which is situated on Holborn Avenue. The stone facades of the cottages have great kerb appeal and the renovation project has been carried out to the highest standards by renowned local developers who also recently completed the new townhouses and semis adjacent and to the rear. Externally there are new roofs, windows, fascias and gutters and the properties are now insulated to current new build standards making these cottages highly efficient. Internally everything is NEW with newly plastered and decorated walls & ceilings, NEW fitted kitchens with built in appliances, NEW carpets and flooring, tiled bathroom and ensuites with quality white suites, quality wooden internal doors, and a NEW boiler and central heating system. We're not kidding when we say that Chiverton Cottages must be viewed to appreciate the size and exacting high standards of the workmanship that has gone into producing these properties. Conveniently located on Chesterfield Road opposite the station and close to all local amenities in Dronfield we expect there to be good interest so don't delay in calling the selling agents Blundells for your exclusive viewing. For further details or to arrange to view this exciting development please call Blundells Dronfield office on 01246 416261.